Released on Friday 20th January 2017. As one of the most spectacular, most modern and most expensive buildings in the world, the Elbphilharmonie has already attracted a great amount of positive attention not only in Germany, but worldwide. The new Grand Hall in the Elbphilharmonie is already considered to be one of the most beautiful and best concert halls in the world. This very first recording captures the fantastic sound of the new Grand Hall, which was designed by Yasuhisa Toyota, one of the world’s best acousticians. 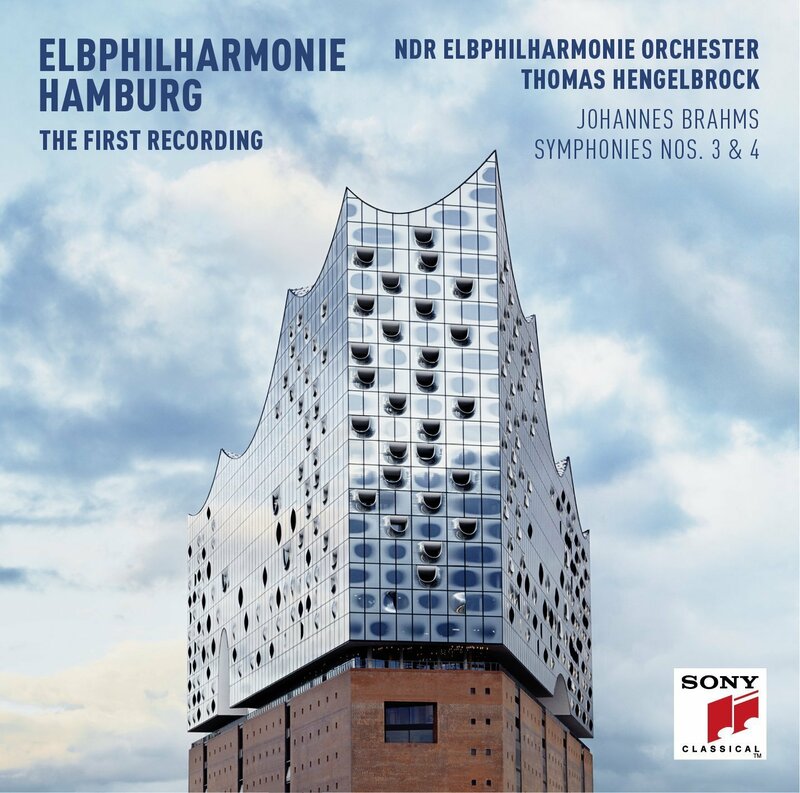 Last week's opening of the Elbphilharmonie in Hamburg marks the beginning of a new ear for the NDR Elbphilharmonie Orchestra, formerly the NDR Symphony Orchestra, as they will become orchestra in residence at the Elbphilharmonie, making its musical home after a 70-year history. The orchestra’s programme will play a major role in shaping the artistic profile of this spectacular new concert hall. The music director of the Elbphilharmonie, Thomas Hengelbrock, is known for his imagination, musicological passion for discovery and his uncompromising manner of music-making, making him one of the most sought-after conductors of our time. This 2017 New Year’s Concert double album is one of the most successful in the series. Appropriately so, since two big anniversaries are being celebrated here: the 175th of the Vienna Philharmonic and the 150th of the most famous of all Strauss pieces, The Blue Danube waltz, which is, as always, an encore here. This concert’s success was guaranteed by the charismatic and idiomatic conducting of Gustavo Dudamel; the terrific playing of the Vienna Philharmonic; and a fascinating programme in which eight of the 17 pre-encore pieces were new to this now 80-year-old series. I was there in Vienna on New Year’s Day and loved every moment of it. The Golden Hall of the Musikverein is surely the most beautiful concert hall in the world, its shoebox shape guaranteeing excellent acoustics. I worried how much of the magic of one of the greatest musical experiences of my life would transfer on to CD. I needn’t have. These CDs are full of good things, with the recording capturing the atmosphere, the enthusiastic audience, and fully reproducing the beautiful sound of one of the world’s greatest orchestras. The playing of the strings had a silky refinement throughout. The accuracy of the playing evidenced much careful preparation, and some of the solos, such as the first horn in Waldteufel’s The Skaters’ Waltz, were stunningly beautiful. 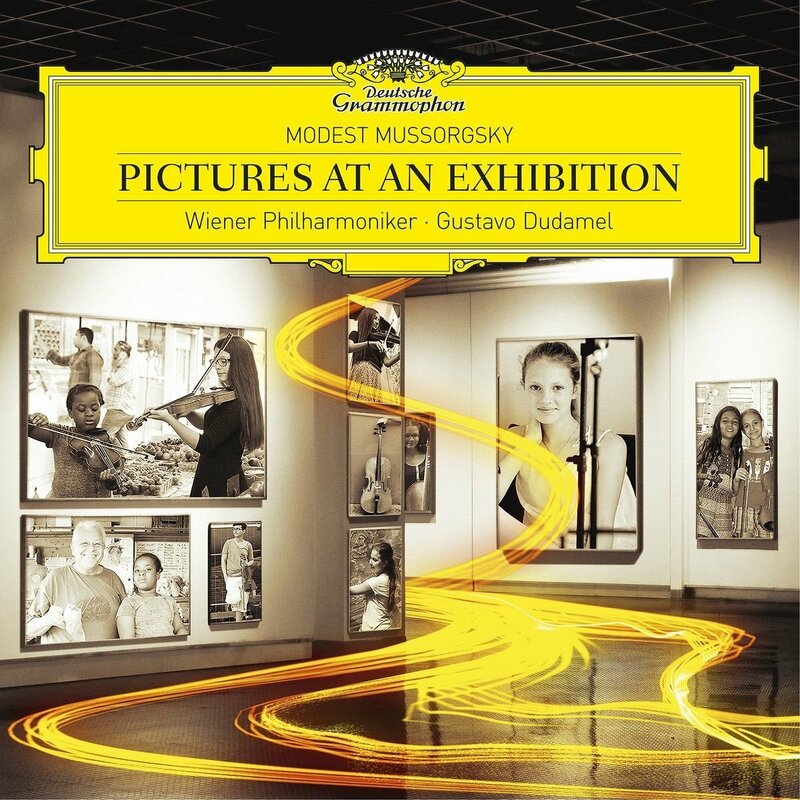 This was one of this year’s eight debutants, as was a fine overture, Pique Dame, by the forgotten father of Viennese operetta, Franz von Suppé. There were also new and enjoyable Strauss novelties, such as Johann II’s The Extravagant Waltz, named after a lawyers’ ball in Vienna in 1858, and his fast polka, Let’s Dance. 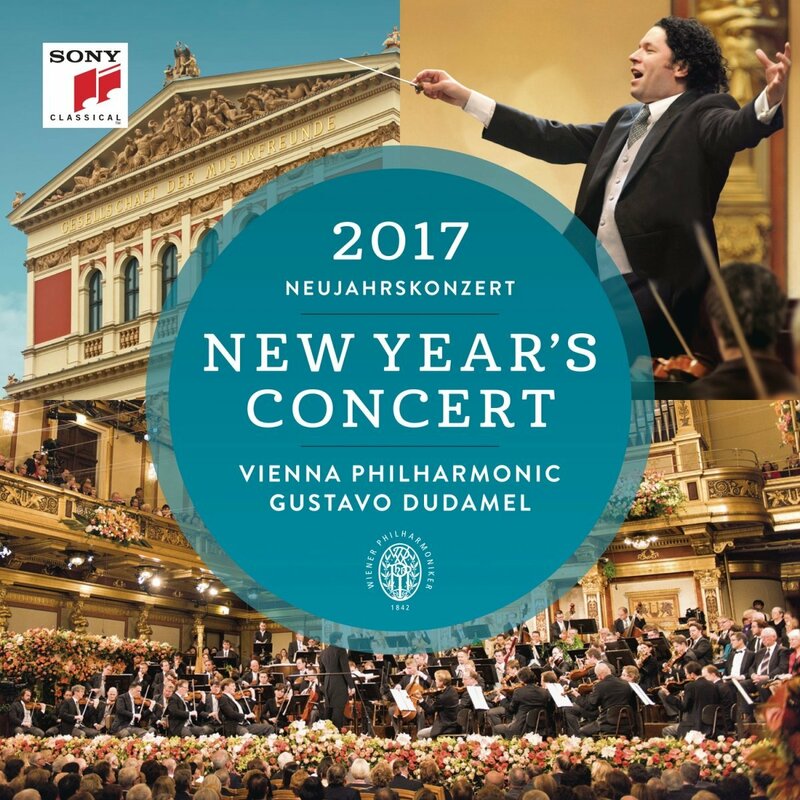 Dudamel, a product of the Venezuelan ‘sistema’, who made his reputation conducting the Simon Bolivar Youth Orchestra and now heads up the Los Angeles Philharmonic, had no background to speak of in Viennese music. But he plainly put in the hard yards, conducting everything from memory, a remarkable feat in a more than two-hour concert, and showing a real feel for this music. The orchestra plainly respected him, and by the end the audience loved him too, especially the way he conducted us rather than the band in a much more orderly than usual clapping during the final encore, Johann Strauss I’s Radetzky March. The New Year’s Concert isn’t cheap: my front-row balcony seat cost €840. But it’s worth every cent. And for a fraction of that, you can enjoy this memorable recording. The concert was an invention of the Nazis, first held on December 31, 1939. From these inauspicious beginnings has come an event that once exemplified world chaos but now emphasises global togetherness. The audience was from all over the world, and TV viewers numbered some 40 million. Long may it flourish. Gustavo Dudamel had his first date with the Vienna Philharmonic in Lucerne in 2007, and has worked regularly with them since. It looks as though this is a relationship both parties want to develop further. A good thing in my view, because my positive feelings about his rapport with the orchestra set out above, continue with this Russian programme, recorded in the Golden Hall last April. Pictures, in the orchestration by Ravel, is beautifully played, and the more relaxed and lyrical moments fall easily on the ear. Perhaps the conclusion, Baba-Yaga and the Great Gate Of Kiev, are not as overwhelming as in some performances. But over all this is a thoroughly musical account. And rather proves that Dudamel does better with a long established European orchestra, used to playing this stuff, than he does in Los Angeles, where he is Music Director. I have sometimes felt his performances there of Beethoven, Mahler and other such stuff don’t really catch fire. The only disappointment here is the fill-ups - Night On Bare Mountain, and the Waltz from Swan Lake, aren’t really adequate duration wise. Only 50 minutes of music on this CD is too miserly these days. I can’t get away from the Vienna Philharmonic, or indeed the Golden Hall. 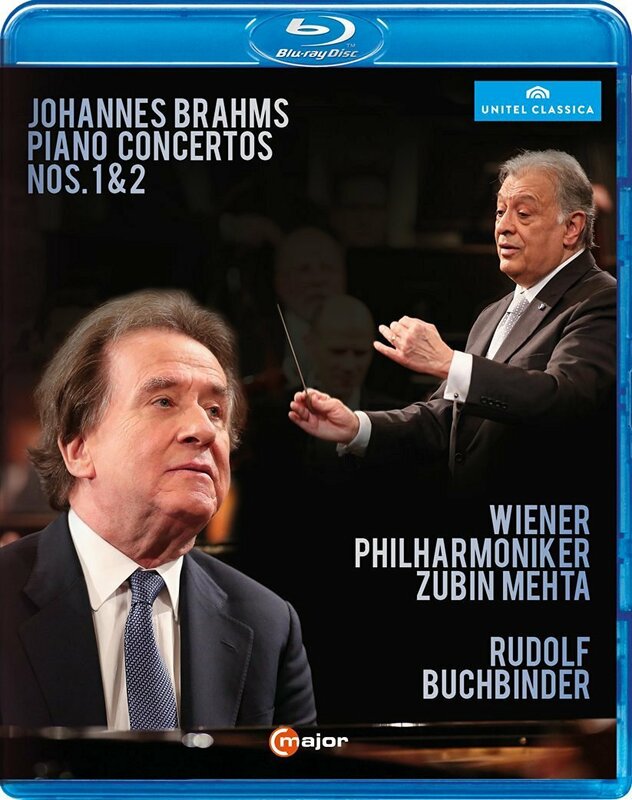 These recordings featuring the veteran Austrian pianist Rudolf Buchbinder were also set down in the Golden Hall in the spring of 2015. The orchestra played very well for the veteran Zubin Mehta, who was of course Vienna trained, and has been conducting the orchestra for more than 50 years. Buchbinder and Mehta’s expertise, and the beauty of tone of the Viennese players, makes for charming listening. These are really idiomatic performances. Do they storm the heights like Gilels, Richter, Pollini, and others? No, but this is still a most satisfying listen. Buchbinder was in the recording studios a lot as a young man, and then little was heard of him. Let’s hope these recordings presage a glorious Indian summer for him, now he is in his 70s. David Oistrakh ranks alongside his fellow Russian, Jascha Heifetz, as the most important violinist of the 20th century. 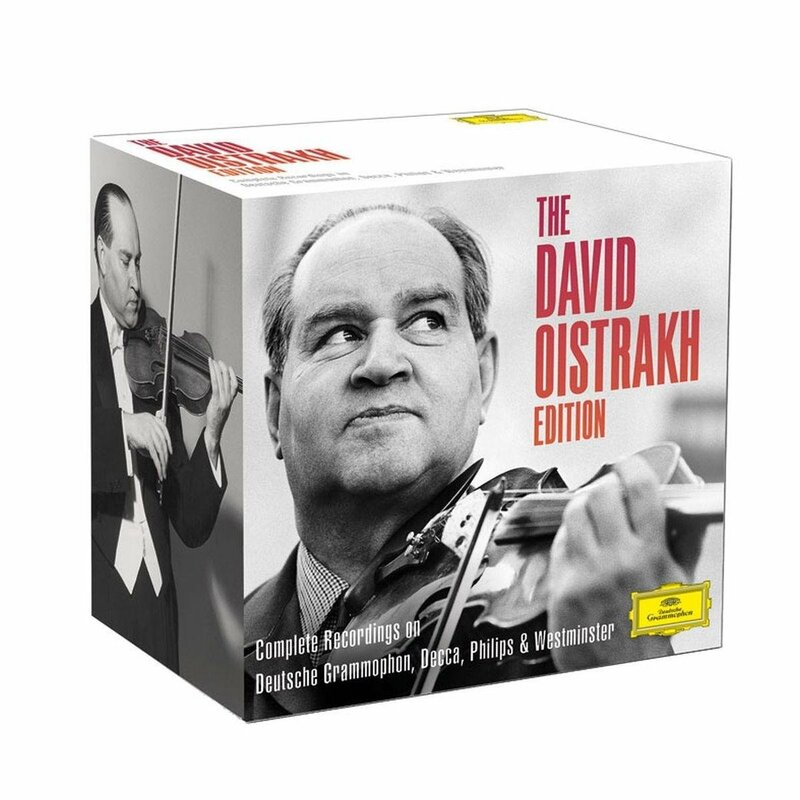 Oistrakh was a powerful player, whose deep musicianship in this inexpensive box (22Cds for £45 or less) encompasses compelling performances of baroque music – there’s some especially glorious Bach – and some truly extraordinary performances of what was, for him contemporary music, which, incidentally, made him Shostakovich’s favourite interpreter. Sadly there’s no Shostakovich here, but plenty of Prokofiev, who rated him equally highly. Amongst other highlights are arguably the finest of the several recordings he made of two favourite party pieces, the concertos of Tchaikovsky and Brahms, set down in Dresden in 1954 when he was in his absolute prime. There’s also a strikingly eclectic selection of chamber music, notably a complete set of Beethoven Sonatas from 1962 with the distinguished pianist Lev Oborin. Another favourite performance of mine, included here is his London recording of Bruch’s Scottish Fantasy with the LSO, which captures things other violinists miss. Oistrakh succumbed to a heart attack in Amsterdam in 1974 whilst on tour, aged only 66. Although its more than 40 years since I last saw him play live, I remember every detail. Built like an all-in wrestler, with enormously powerful shoulders, Oistrakhs manner on the platform was kindly and avuncular (and indeed no one ever said a bad word about him). But when he stuck his violin into one of his many jowls, and really got going, he was a man transformed, whose playing made it impossible for an audience not to be swept away. This exceptional DG box shows a total master of his craft at work, and shouldn’t be missed.